Did you know that you can turn your credit card expenses into meaningful rewards? With a HSBC Cash Rewards MasterCard® Credit Card, you can do exactly that. This is more than just a credit card – it’s an experience. If you open an account with HSBC, all they guarantee is a smooth credit card journey with them. Read on to learn more about the perks and features of this HSBC credit card and how you can apply today. If you spend $2500 in the first three months of opening your account, you get $150 cash back, how cool is that? You can also enjoy 0% introductory APR on balance transfers for the first 15 months of opening your account. Not only that, you can forget about extra fees as there are no foreign transaction fees, no annual fees and no fees for additional cardholders. In terms of cash back, you’ll receive 1.5% cash back into your pocket on every purchase. This credit card comes with some amazing cash back perks too, such as a 10% Anniversary Bonus on all Cash Rewards earned each year. For instance, if you earn $500 in Cash Rewards, you’ll receive an additional $50 as an Anniversary Bonus. Planning to travel? Why not take advantage of the travel perks that the HSBC Cash Rewards MasterCard® Credit Card has to offer as well? You can get up to $1 million in travel accident insurance, which will cover you in the event of an accident, lost luggage or car rental breakdown. The security of this HSBC credit card is top notch. First of all, it is chip-enabled, providing secure checkout with the contactless payment feature. What’s more, you can make purchases using Google, Samsung and Apple Pay. Finally, the HSBC Cash Rewards MasterCard® Credit Card covers you for theft or damage of your purchased goods. You can also get a refund of the difference in case you see an item advertised for less within 60 days of purchase, and you get extended warranty which doubles your original warranty by up to 1 additional year. Opening a HSBC credit card account is pretty easy and should only take you a few minutes, if you are eligible. If you are opening a personal account, they will ask for your personal information such as your name, ID, address, taxpayer identification number and date of birth. They may also ask you to provide proof of sufficient income in the form of pay-slips or tax document. To apply for the HSBC Cash Rewards MasterCard® Credit Card, simply visit the HSBC website and fill out the online application form with the required details mentioned above. Should your application be approved, HSBC will notify you about your credit limit, which is determined based on your income and credit rating. For more information about costs and other factors to consider, check out the HSBC Bank website. 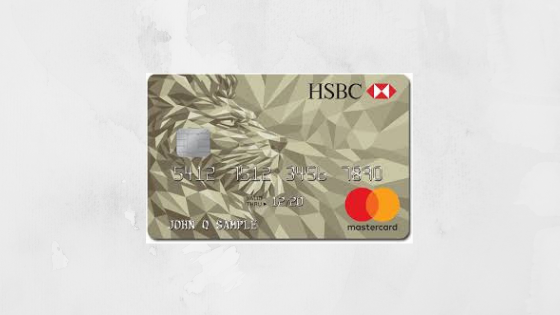 If you are looking for a reliable credit card which not only offers unlimited cash back, but also rewards you with other exclusive perks, the HSBC Cash Rewards MasterCard® Credit Card should be your number one choice. 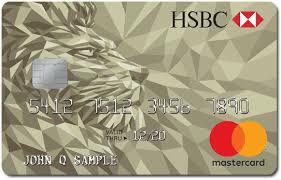 Visit the HSBC website and apply today to begin enjoying the exciting features and benefits this HSBC credit card has to offer.